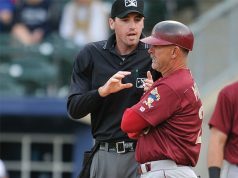 What are “automatic” ejections related to behavior? Are there any? There is more debate today than ever before. 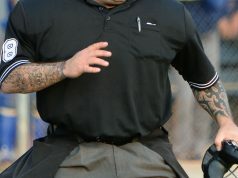 Skim the rulebook for any high school or college sport under the section of automatic ejections and the word “flagrant” is likely to appear. For example, a player can be ejected for his or her first “flagrant” offense in high school volleyball. A “flagrant” act can send a player to the lockers in scholastic basketball and a “flagrant” foul is an automatic ejection in high school and college football. But what exactly does “flagrant” mean and how can an official determine whether a coach or player’s behavior has fallen under that heading, thus necessitating an automatic ejection or penalty? “In many cases, it says, ‘flagrant offenders shall be disqualified,’” said Steve Shaw, coordinator of football officials for the Southeastern Conference (SEC). “So you (do) have the judgment component about what is flagrant and what isn’t.